Do you belong to an email list? If you do, do you receive regular emails from the person who owns the list? Do you look forward to getting them? If so, do you open those emails? These are all questions to consider when you start building your own email lists. The way you answer these questions will help you understand how to make money using your email list. Unless your website is really compelling, it is not easy to get people to keep coming back over and over again without some kind of a reminder. Having the ability to send your readers an email telling them about a new post you have made is a great way to build traffic. It is also a great way to present products to individuals that you already have a relationship with. The thing is, before you go hog-wild blitzing your subscribers with ads for products, think about the questions at the beginning of this article. What makes you open an email — more importantly what makes you act on it? Email lists are a great way to stay in contact with your readers. It is also a way to let your readers get to know you better and — when you do that correctly your readers will look forward to hearing from you. Let’s use an example to illustrate this point. Let’s say you have a blog on dog health and you have developed an email list of 5,000 subscribers. When you send them an email each week, why not include some little story or joke about a dog? Maybe the story is about your dog — real or imagined. Perhaps you call your dog George, and George is a doberman pincher who is afraid of his own shadow. Each week your email starts with a brief story about some new terror in George’s life — and his funny reaction when faced with it. If you got an email like that each week do you think you would open it? Sure you would. If you joined that particular list in the first place it would indicate that you have a love for dogs. Funny stories about George, the cowardly doberman, would be something you’d love to hear. No one would find that offensive and most people would quickly click through to find out what makes a dog scratch at his ears. Then, as long as your blog delivers the answer to the question, you will have happy readers. And these readers will keep coming back time and again. Happy readers are people who will buy products from you. Just using this quick story I hope we have helped you to understand better how to make money using your email list in the right way. Why not put some of these tips to work right away? 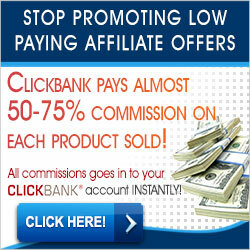 If you are an Internet marketer, then you know that the number one thing required for a successful website is traffic. Without traffic you will not be able to make sales. So the big question becomes how do you get visitors to come to your website? There are many ways to optimize your web pages to attract traffic. Good SEO is important, and if you are not familiar with SEO you should check into it. You can also use forum marketing, Facebook marketing and other social platforms to promote your site. Once you have visitors, however, it is important to hold on to them however you can. That is why the importance of building an email list is understood by so many successful marketers. Of course once you have visitors to your website, it is important to have informative and compelling material there to make them want to come back. If they don’t like what they see, even an email list will probably not help you to get return traffic. On the other hand, people who like what they read on your site will want to know what you have to offer next. If you provide them with a way to sign up for an email list it will not be hard to get people to join. Some marketers offer a free gift to anyone joining their email list, and that is not a bad idea. For instance, one website about dog training offers a free e-book filled with tips about how to get a dog to do basic tricks such as roll over, sit, stay and sit up. Find something in your own niche to use as an inducement to join your list. Once you have set up an email list it is important that you use it. Your subscribers should get used to getting one to two emails from you each week. Remember, though, that they are not subscribing in hopes that you will try to sell them something. They are subscribing because they want more information and they think you will provide it. So most of your emails should contain just that — information. It is okay to provide a link to something at the end of your email, but it should not be the focus. Also, don’t fall into the bad habit of asking a question or posing a lot of problems only to force your readers to buy something to get the answers. I don’t know about you, but when I get emails like that I quickly hit the “unsubscribe” button. It is alright to present a resource, but questions asked in your email really should be answered. People will join your email list because they want to believe in you. Don’t let them down. Don’t abuse their faith in you. You can drive a lot of traffic to your website through an email list. Just make sure that the information you send your subscribers is information they want and are seeking. Once your traffic is flowing you will better understand the importance of building an email list.